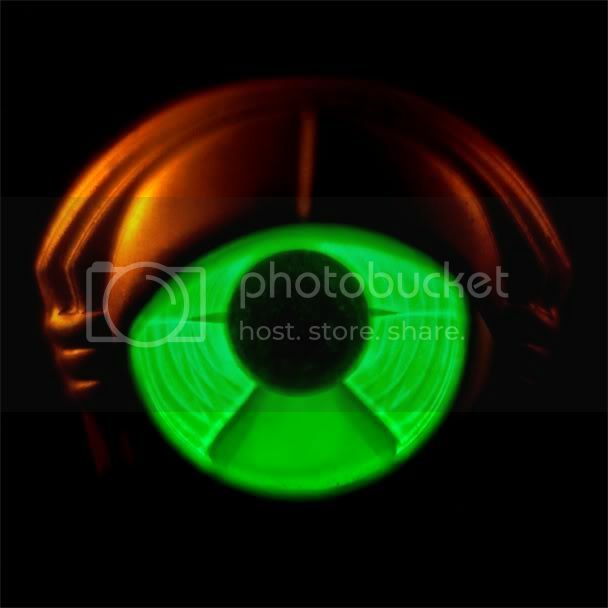 In 2008, My Morning Jacket administered one of the sharpest about-faces in recent memory. They released an R&B-infused spacerock LP, replete with brow-raising noise textures and vocal turns. There were three or four tracks resembling MMJ songs of old, but the bulk of the album left listeners reeling. What happened to the classic rock standard-bearers who released the anthemic Z only a few years before? Why is Jim James--owner of world-class southern rock pipes--singing like Prince? Why does "Highly Suspicious" soundtrack my nightmares? I tend to think Evil Urges was a far more successful experiment than most give it credit for, but I also hoped that it was just that: an experiment. My hope was that the itch was scratched and they were ready to get back to the soaring verbed-out onslaught on which they'd built their empire. The first single, "Holding On To Black Metal", wasn't going to give us much indication one way or the other. It doesn't not rock, but isn't exactly a purist effort. We hear staggered horn/wah hits behind a funky mid-tempo progression that, as we'd soon learn, was credibly lifted from a 60's Thai pop song. More confusion was the result--was the rest of the Circuital going to be a classic rock zig or an oddball zag? It was the next single--the album's title track--that whipped up some excitement in the masses. It's a seven minute, guitar-driven train ride that finds Jim James belting out Z-era vocal lines. Sure to become a live staple, it built up a sense of hungry optimism among their fanbase. On first listen, I considered Circuital a return to form. "Black Metal" is about as weird as it gets. Everything else is palatable, uncluttered, largely organic; essentially the opposite of much of Evil Urges. All right, MMJ got the message--back to the basics! Ostensibly, this is a good thing. But is it? Album opener "Victory Dance" is a tribal tension-builder, tightly-wound electric piano and drum cracks slowly circling the drain till its escalated finale. Then comes the immense "Circuital", which as I mentioned is the true highlight of the album. What we here thereafter is a peppering of good-but-not-great tracks. Will any of these contend for a spot on the inevitable "Best Of"? Hard to imagine "The Day Is Coming" or "First Light" landing as favorites for anyone. I do like "Outta My System", which features one of James' better vocal showings on the record, and the fuzzy waltz "You Wanna Freak Out". Last year I heard an early performance of "Wonderful (The Way I Feel)", a honey-sweet acoustic ditty. It's a warm song, but one I feel like any semi-capable band could have written. It's like "Golden" from It Still Moves without the wide-eyed charm. The album ends with two slow-as-molasses tunes that hover around five minutes. I really like the album closer "Movin' Away", a spacious three-quarter time ballad that has a similar calm-of-night feel as does the first half of "Dondante" from Z. Its predecessor--the unfortunately titled "Slow Slow Tune"--lopes along at the pace of summer gridlock, and might have been a better follow-up to "Circuital" than "The Day Is Coming", from a sequencing perspective. The more I listen, the more I feel like the album is a little too safe. It's the unfair result of a band that's raised the bar to such an inconceivably high level that a safe album just won't do. It's kind of like a crack addiction (from what I understand.) It's like MMJ is my dealer, and each album was a stronger hit of crack. Then one day he shows up and says, "Hey I know you like crack, but how about some meth?" So I take the meth [codename: Evil Urges]. "It's different, that's for sure," I'd say to my the dealer from the porch of my double-wide. "I enjoyed the change, but it's just not crack--let's get back to that!" So finally my dealer brings me some crack. Only it's not much crack. "Yeah, it's crack," I'd say, "but I feel a little unfulfilled." If it was my first hit of crack, I'd probably be bouncing off the walls. But I'm dependent, dammit! I need something more! Anyway, I'm being viscously unfair to this album, I admit. It's not a whiff, although I can't stand by and say its as satisfying to me as I'd hoped. In some ways, this is the exact opposite scenario of the Felice Brothers. With them, I was almost hoping for a safe record--which is about all I expect from them--and they knocked it out of the park by taking a few risks. Which is what I expect from My Morning Jacket, who went the other direction. Alas, Circuital is an inoffensive, low-risk effort that will earn its fair share of spins by year's end. Pros: A handful of stand-out tracks that put the band's best qualities on display. Cons: While it occasionally flirts with taking off, it never quite breaks through.